We are here to change the world! And change begins within. By focusing on unconditional love, we strengthen its power within ourselves. By connecting to each other with unconditional love, we foster the spirit of understanding and forgiveness within our community. By consciously encompassing our planet within a global web of unconditional love with our united hearts, we help awaken compassion within ALL. Let us continue to join together, to help give a glimmer of hope on that deep level within, so that it may continue to rise to the surface of awareness all across the world, so that humanity can turn to each other with greater light. As the darkness of fear and ignorance is expelled by the light of compassion, we naturally take action to end the cycles of violence, oppression and suffering. But it starts within. With LOVE. 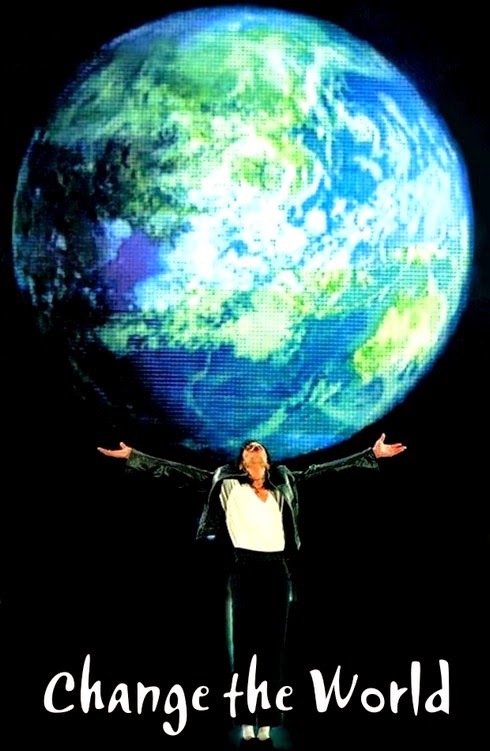 Imagine the power of the WHOLE MJ fan community joining together as ONE; all religions, all beliefs, all nations ... for LOVE ... love, pure and simple... every month, all around the world! We've been gathering like this EVERY MONTH since September 25, 2009, but we still need your help, as there's no MLP without YOU! Please help us spread the word by linking to this page, sharing/tagging this photo on Facebook, updating your MJ forums and reminding your friends. Thank you all SO much and much love to each of you! 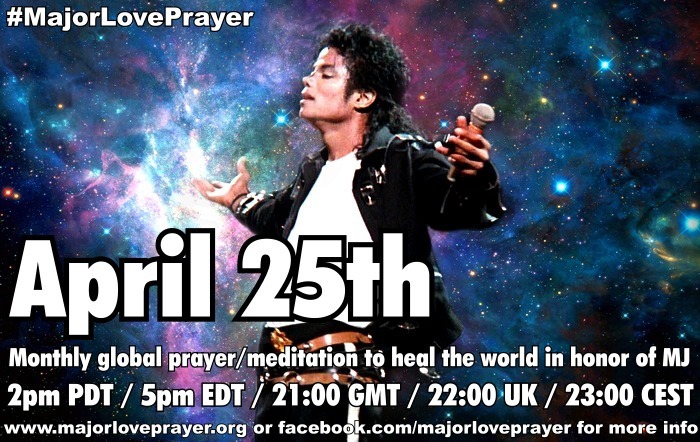 ♥ ♥ ♥ We send out a major love every 25th at 2pm Pacific Time, which is 5pm Eastern, 10pm in the UK, 23:00 CET in Western Europe, 01:00 in Moscow. (See global time chart). ♥ MICHAEL JACKSON BIRTHDAY CHARITY http://www.facebook.com/mjbirthdaycharity is a fan group that is organizing for everyone to donate to Orphan's Lifeline of Hope International in honor of Michael. See http://mjbirthdaycharity.blogspot.com/ for donation instructions. ♥ A MILLION TREES FOR MICHAEL http://www.facebook.com/amilliontreesformichael asks us all to donate via American Forests. Over 20,000 trees have been planted through them in Michael's name already! Please be sure to read the details http://www.facebook.com/amilliontreesformichael?sk=app_4949752878" to make sure the donation is credited appropriately. ♥ 2300 MAKE A PACT http://www.facebook.com/2300makeapact recently collected donations for the Dresses from Neverland campaign, that is providing dresses to girls affected by the tornado outbreak in the US earlier this summer. The latest project is to send a child to the Michael Jackson Immortal Tour Cirque du Soleil show via Make A Wish!